Garden Grove Child Care Program has grown since it was first licensed for 30 school age spaces in 1981. As the years passed, they continued to add more and more spaces to their facility to respond to the increased need for child care. Today the Centre is licensed for 63 children. With demand still rising, the Board found that they could not increase the physical space at their current location. 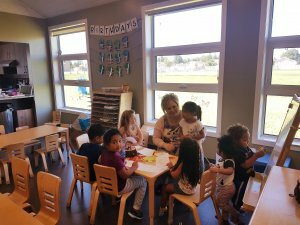 A solution was found when Garden Grove Child Care Program entered into a lease agreement with City of Winnipeg to renovate a vacant community center located on Burrows Ave. This location was ideal to serve the growing newcomer population in the area. The new centre added 24 new preschool spaces and four toddler spaces to the community. The Jubilee Fund provided a loan guarantee to support the cost of renovations and purchase of items required to meet Provincial licensing requirements.